Yes, this updated edition of MongoDB in Action is aimed at software developers. However, the book wisely does not ignore those of us who are more casual users of MongoDB. I won’t try to sum up everything in this well-written, 13-chapter book. I have used older, 2.X versions of MongoDB in MEAN stack applications. And, separately, I have worked a bit with Ruby and MongoDB. But in each case, I haven’t needed to learn all that much about MongoDB itself, mainly just ensure that it is storing data that can be accessed in the right place and updated, saved or deleted as needed. So this book, written for 3.0.X (and earlier and later) MongoDB releases is an eye-opener for me and one that I will keep around for reference and more learning now that I have upgraded to 3.2. The book’s author knows that readers with some MongoDB experience will not read the book straight through. Instead, they will tackle chapters in many different orders and will even skip some chapters. And this is okay. MongoDB in Action: Second Edition is a book many of us will be happy to have handy whenever we need to get a better grip on some new aspect of working with this very popular open-source document database. One cautionary note: The author points out that “as of MongoDB v3.0, 32-bit binaries will no longer be supported.” Of course, some 3.X 32-bit binaries are still out there, and you can install them. But you will get a lot of warning messages from MongoDB. So, download a 64-bit binary if your system will support it. Many people who want to jump into 3D printing have almost no idea what they actually want to make. Or, they may have projects in mind that far exceed their abilities to fabricate as beginners. If 3D printing is on your mind (or arriving soon in some shipping boxes and downloads), here are two new books to consider: 3D Printing Projects and 3D CAD with Autodesk 123D. Maker Media’s 3D Printing Projects is written by a team of professionals who have 3D printing newcomers in mind, at first. But their book also includes several more challenging projects that require Arduino or Raspberry Pi boards, motors, servos, or video cameras and other devices. Importantly, all of the projects are designed to be fabricated with small, desktop 3D printers. The book starts by showing how to fabricate a simple gooseneck lamp that uses an LED light powered by a 9-volt “wall wart.” From there, the projects increase in complexity, to fabricated devices such as a two-axis camera gimbal and a flower-care robot that monitors soil moisture and adds water when the soil gets dry. Numerous photographs, illustrations and how-to steps are provided. This well-written book shows that much can be done, even at the hobby level, with just a few custom 3D printed parts and some electronics. The first steps to 3D printing include “learning how to design for three dimensions using a computer” and having an idea “where to start,” the authors of this useful book point out. Autodesk 123D is one of several popular “parametric design” software packages on the market. The authors note: “The term parametric refers to the use of design parameters, such as measurements, to construct and control the 3D model. This means you will first create a sketch that has measurements attached to it. Those measurements will be used to construct your solid model using different features such as extrude, revolve, or loft. 3D CAD with Autodesk 123D is richly illustrated and well written, with much of the how-to text contained in short paragraphs that offer clear steps. 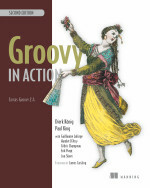 The authors of Go in Action assume that you are a working developer who is proficient with some other language, such as Java, Ruby, Python, C# or C++. However, their book is written well, has good illustrations and offers small to moderate-sized code examples. So, someone who is less than a “working developer” also can pick up this work and use it to get a good start on mastering Go. The major topics covered in the book include Go’s language syntax, type system, concurrency, channels, and testing, among others. If you want a clear, concise and reasonably comprehensive overview of Go, consider Go in Action, from the get-go. Ionic in Action shows how build three different mobile web apps. And, while working on those apps, you encounter virtually every feature that Ionic offers. I recently started learning Ionic, so I am pleased with how this book is organized and impressed that it has some important blessings from Adam Bradley, a co-creator of the Ionic framework. Ionic is built on top of AngularJS, and it interacts with Cordova. The author of Ionic in Action, Jeremy Wilken, promises that being familiar with AngularJS is “helpful but not required.” However, as someone who has wrestled with AngularJS (and been slammed to the scope mat more than once), I am pleased that this book includes a chapter titled “What you need to know about AngularJS.” And, as in the rest of the book, you learn by doing, not just by reading explanations and looking at illustrations. In the Angular chapter, you build a basic web application using AngularJS. Of course, one chapter does not take the place of a good AngularJS tutorial. But it provides a useful starting point. Whether you are working to become a mobile app developer or seeking to improve and widen some existing skills, this is a good book both to learn from and keep handy in your reference library.